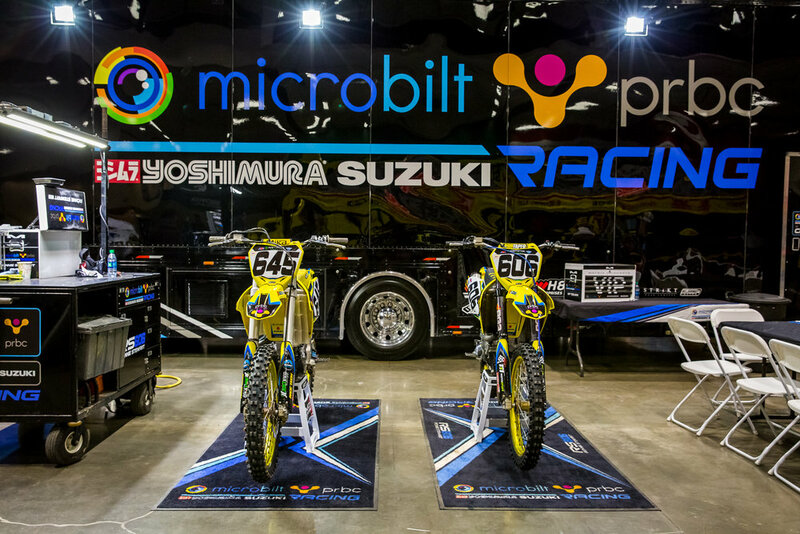 Team MicroBilt PRBC Yoshimura Suzuki will not compete in the 2018 SuperCross or MotoCross seasons after five years of racing. We are very thankful for the team, the sponsors and most of all the people and fans who supported us. We did far more in this industry than we ever thought possible. Founded in 2014 to support passionate, talented supercross and motocross riders, Team MicroBilt PRBC was drawn to our riders by our shared respect for the grit, determination, commitment and perseverance that lead to success - on the track, in business and in life. MicroBilt and its subsidiary PRBC are 35+ year leaders in the risk management, data and alternative credit marketplace. For the millions of Americans shut out of the traditional credit market - and the companies who want to do business with them - our companies are the premiere providers of the tools and data that power the rapidly growing alternative credit economy. We believe Team MicroBilt PRBC embodies the spirit behind the work we do. We invite you to join us in supporting our talented riders as they demonstrate the power of drive at both the Monster Energy Supercross and Lucas Oil Pro Motocross series. Ronnie made a name for himself in the sport over the last few years, rising among the most talented Northeast riders, to become one of the best professional riders at national level. His hard work and determination has resulted in Stewart becoming a regular qualifier in the premier Supercross and Motocross class over the last couple of seasons. Pro AMA and FIM licensed rider. He won the championship title in the Texas Off Road National series at 14 years old, earned his AMA Pro License at the age of 16, having competed in the AMSOIL Arenacross series and became one of the first riders to earn “Road to Supercross” points. At Monster Energy AMA Supercross, he raced his first Supercross event in Houston in 2014 where he even earned a transfer position to the Main Event in the 250SX class. Vicki was one of the big stories of last year’s Supercross season and is best known for making history in Las Vegas last May by becoming the first female in more than four decades of Monster Energy AMA Supercross, an FIM World Championship, to qualify for the "Fast 40" - the riders that transition to the night program from timed qualifying in the 250 Supercross class. She raced for the team at the Monster Energy Supercross 2016 series. Alex has been the very definition of a privateer, driving to the races in his well-worn van with his bike in the back and often doing the wrenching on his machines himself. 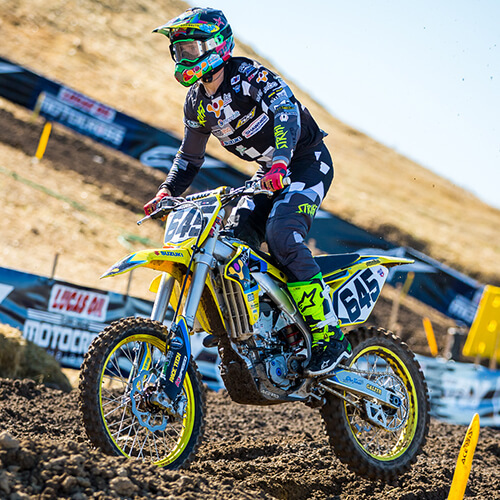 Nagy raced for the first eight rounds of the Monster Energy/AMA Supercross 2016 Series for the team, as a fill-in rider for the injured Ronnie Stewart.